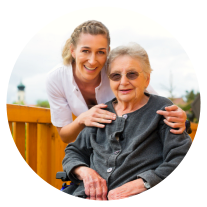 Home Care in New Jersey | Betty Nursing Services, Inc. Welcome to Betty Nursing Services, Inc.
Betty Nursing Services, Inc. strives to provide individuals and families with the peace of mind that comes with quality home care. With our help, family caregivers no longer have to carry the burden of caring for their loved one alone and patients have the opportunity to remain in the comforts of their own home. Whether it is a disability, dementia, illness, or the challenges that come with old age, Betty Nursing Services, Inc. can help you or your loved one. 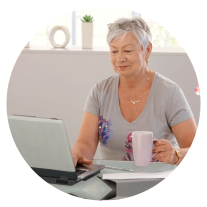 Our trained caregivers can tackle the tasks that may seem overwhelming for our clients such as personal care, housekeeping tasks, running errands, cooking, and more. Caring is our calling. We invite you to learn more about us. Give us a call at 908-248-8429 / 201-417-6328 / 973-687-8282. Personal Care Assistants. They can assist with bathing, dressing, and other personal care activities. Certified Home Health Aide. They can assist with personal care, light housekeeping, and more. Certified Nursing Assistants. They can monitor client condition and deliver services under the guidance of an RN. Companion. They can provide socialization, conversation, and supportive services for homebound clients. Sitters. They can stay with a client at home, in a hospital, or in some other setting. Registered Nurses. They can deliver skilled nursing services, like medication administration, wound care, and more. LPNs. With the guidance of an RN, they can deliver services such as blood pressure monitoring, patient monitoring, and more. Our mission is to provide person-centered, quality home care services that can keep families together. 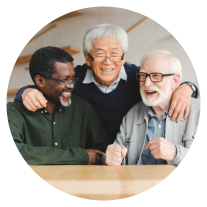 We want to help our clients live a comfortable, dignified, and healthier lifestyle by delivering services that not only caters to their physical needs, but their emotional and social needs as well. Betty Nursing Services, Inc. offers a diverse set of services that you can choose from. Need help with activities of daily living? Our Personal Care Assistants can help. Find out how our Certified Nursing Assistants can help you and your family. Let our caregivers help you maintain a clean and organized home. Learn more about the many skilled services that our Registered Nurses can deliver.